We encourage owner-operated, with a hands-on leadership at the helm. In order to team-build and create the proper culture in your store you need to be a confident, motivating “people person” with the ability to build the perfect team. It is imperative for you to be able to take direction as well as give it. We have a proven system for one reason: it works. We recruit people who are skilled at recruiting and motivating staff, somewhat analytical, can follow a system and who understand the basics of business. 1. What is the process of opening a franchise? Once you've completed our request for information, an initial phone call and review of our franchise disclosure document, which includes detailed information and steps required to open your store. Then upon approval, we will provide you with detailed financial requirements and the steps to find a suitable location to open your store. After the franchise agreement and lease is signed you will be provided with training in one of our existing stores for a week. 2. How much is the franchise fee? Our Franchise Fee is $30,000 and is only paid once, upon signing your Franchise Agreement. 3. How much will buying a Smart Drinks & Nutrition franchise cost? 4. How much are Smart Drinks & Nutrition royalties? Yes, there are several obligations. The Royalty Fee is 6% of gross sales. There are also monthly fees for Advertising at 3%, Local Advertising at $900 or 2% of Gross Revenues, whichever is greater, per month and a Technology Fee at $150. All are explained in our Franchise Disclosure Document. 5. Does Smart Drinks & Nutrition provide financing? 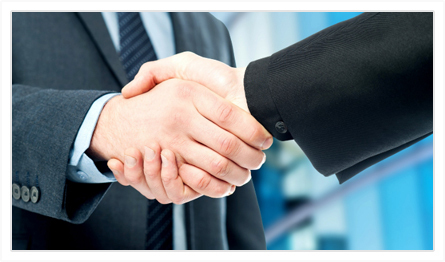 We do not directly offer financing for any part of your initial investment. However, we do have relationships with several national companies specifically offering financing for franchises. If needed and at the appropriate time we will make the necessary introductions. 6. Do I need food service experience? No. Through our training process and our store process manual we can show you everything you need to know. 7. How does Smart Drinks & Nutrition differ from their competition? Smart Drinks & Nutrition offers both a full line of specialty drinks plus a complete line of tried and true sports nutrition products. Our competitors may offer a full line of smoothies but don't offer a complete line of tried and tested sports nutrition products. 8. How long does it take to open a store? In general, 6-9 months is typical, but it will vary depending on a number of factors, including, your commitment to finding and building out a site and the availability of local real estate.